Come Visit Us At The Upcoming Bridal Expo! Do you have a wedding coming up and still need to book some vendors? We highly recommend that you attend the Chicago Bridal Expo on Wednesday, September 19 at Drury Lane Theatre in Oak Brook! Doors are open from 5:30 PM until 10 PM, so make a trip after work to head on over there! 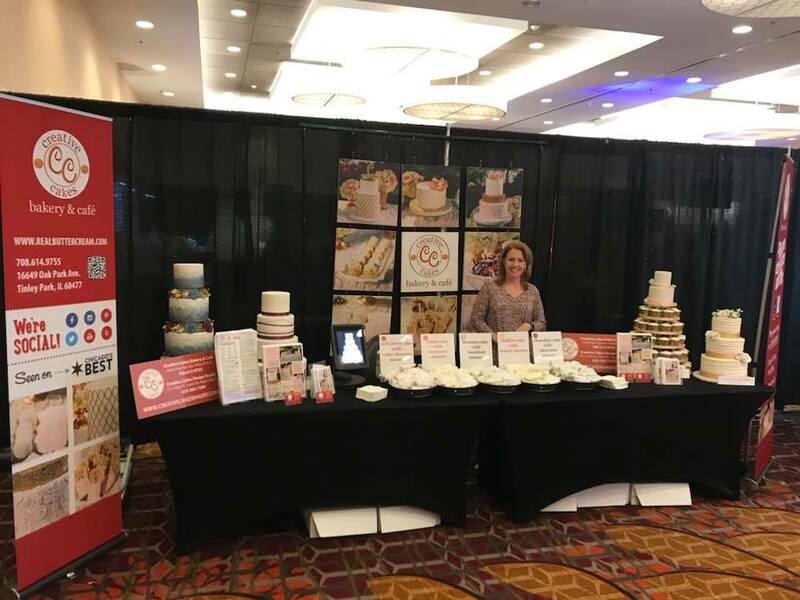 We will be there handing out cake samples, dessert menus, and we’ll be happy to answer any of your questions regarding what we offer for weddings. Many other amazing wedding businesses will be there, too! There is also a fashion show at 8:15 PM featuring designer gowns from all over the world. And, for those who have seen Say Yes To The Dress, Monte Durham will be emceeing the fashion show! Monte loves to walk the floor and meet with soon-to-be-weds, so get your cameras ready! There are only 42 tickets left, so purchase yours now. If you can’t make THIS show, we’ll be at the Bridal Expo at the Marriott Hotel in Naperville on October 7. The expo starts at 11:30 AM and tickets are only $10 online or you can buy them at the door for $25.